Colour marker on a plastic surface to create a palette of colours. Use the ink in the palette as you would watercolour paints. 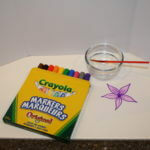 Draw a picture with markers on Crayola Watercolour and Marker Paper. 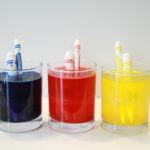 Dip your paint brush into water and paint into the marker to bleed the colours. Poke a Crayola marker into a piece of white Model Magic. Gently knead the Model Magic to thoroughly mix the marker ink into it. Be sure to experiment with colour mixing! Remove cap and place the marker in ½ cup of water and leave it overnight. 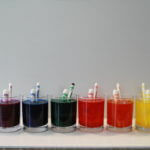 This will make ½ cup of coloured water that you can use as watercolour paint. You can also put this coloured water into spray bottles and let children use it to spray designs in the snow. 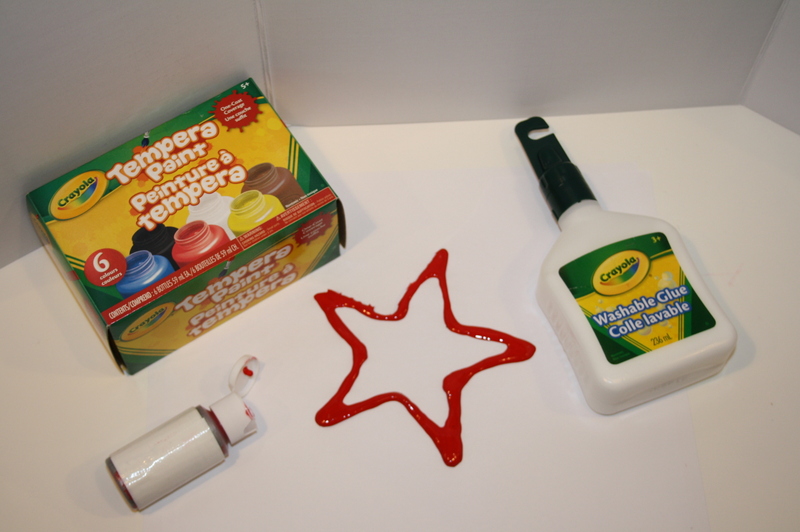 Mix equal amounts of Crayola Washable Glue and Tempera Paint in a small squeeze bottle. 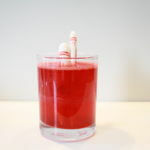 Shake until it is thoroughly mixed. 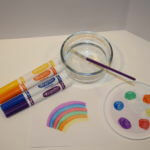 Use the coloured glue to draw raised lines and patterns. 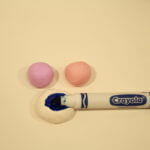 Mix equal amounts of Crayola Washable Glue and Shaving Cream together until it is thick and fluffy. This puffy paint is great for painting pictures of fluffy snow and clouds. When it is dry, it stays 3-dimensional and feels like foam. 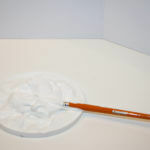 Add a small amount of white flour to washable paint and stir until smooth. 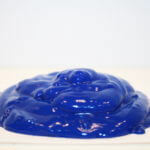 Experiment with amounts mixing more paint to thin the paint and more flour to make it thicker. Mix 1 cup each of salt, flour and water to a smooth consistency. Add about two tablespoons of tempera paint. The more paint you add the stronger the colour will be. Pour the mixture into a squeeze bottle. 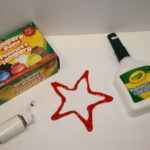 Use the squeeze bottle to paint on heavy paper or cardboard. The paint will take several days to dry and become puffy.